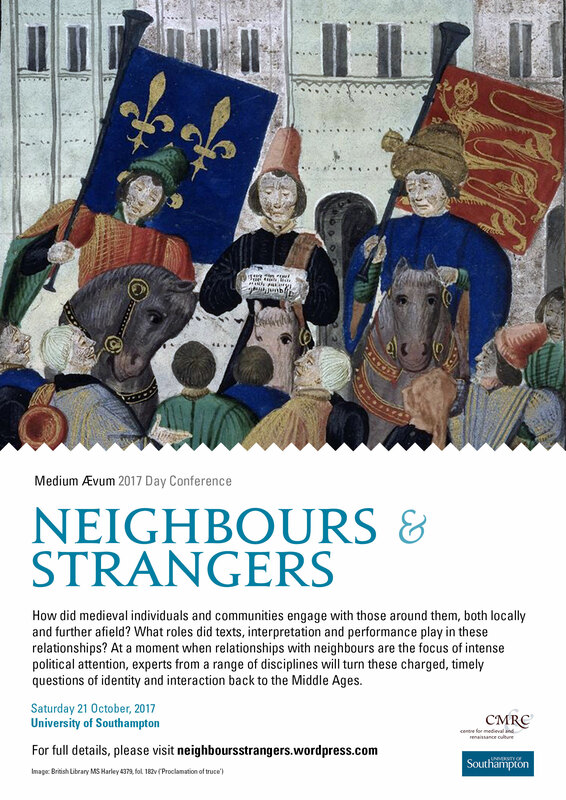 The Department of English and Centre for Medieval and Renaissance Culture at Southampton are pleased to host the Medium Aevum Day Conference 2017, on the theme of 'Neighbours and Strangers'. The conference asks; how did medieval individuals and communities engage with those around them, both locally and further afield? In what ways did textual, performative and interpretative practices serve to police, challenge or re-negotiate these relationships? And where were distinctions between neighbours and strangers unstable, ambiguous or malleable? 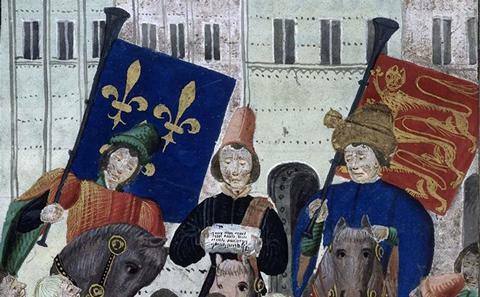 In 2017, at a moment when relationships between international neighbours are the focus of intense political attention, and fraught conversations continue about how we might construct ‘neighbours’ and ‘strangers’ within our communities, this one-day conference will turn these charged, timely questions of identity and interaction back to the Middle Ages. Those presenting will include Joanna Bellis, Aisling Byrne, Clare Egan, Helen Fulton, Ryan Lavelle, John McGavin, and Mark Ormrod. All are welcome to attend. Discounted rates are available for Students and SSMLL members. For more information and to book your place, please visit the dedicated conference website here.